Some call her a marketing guru; others call her a "CMO Whisperer"
Marketing may be modern. But at times it feels mindless. That’s why Lisa is passionate about helping CEOs and CMOs cut through the chatter, grow revenues, and accelerate marketing innovation. How does she do it? By applying pragmatic leadership and planning models that have taken her decades to discover and develop. 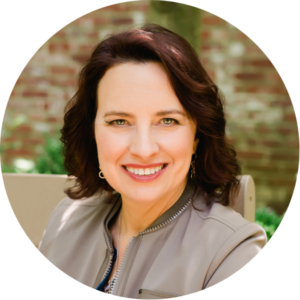 She’s also the Chief Energy Officer of EnergizeGrowth® and the founder of Marketing Leaders of DC™ and Atlanta. 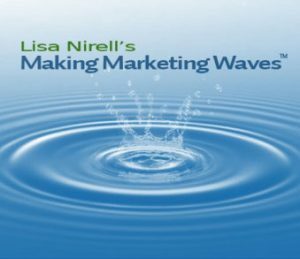 Innovative companies such as Adobe, Google, AARP, Gannett/USA TODAY NETWORK, and Hilton hire Lisa to gain fresh insights, formulate new strategies, and launch breakthrough marketing ideas. Lisa is an expert contribtor on LinkedIn Learning (Lynda.com), FastCompany, CMO.com, and Forbes CMO. 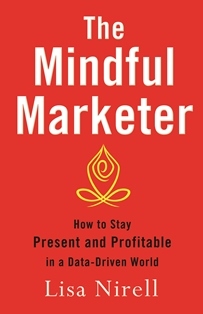 She also authored EnergizeGrowth NOW: The Marketing Guide to a Wealthy Company and The Mindful Marketer: How to Stay Present and Profitable in a Data-Driven World. Lisa never realized she had the innovation bug until she turned 40. (It took years of therapy and self-examination!) Her father, Edgar Lizotte, was an inventor–he held many patents for mechanical security devices. While she will never claim to have changed the world, she’s committed to making a dent by creating sustainable organizations and elevating the marketing profession. Lisa finds inspiration from “unplugged” moments–open water swimming, writing, meditation, yoga, and adventure travel. With a passion for all things aquatic, she is convinced that she’s a mermaid trapped in an entrepreneur’s body. Want to accelerate your career development, spark innovation, and grow your influence? Apply for membership to our private Marketing Leaders communities here. 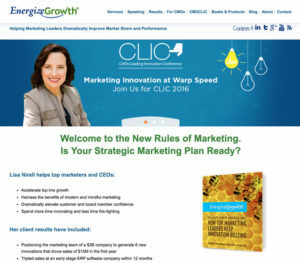 Want the latest news and research on marketing leadership and innovation? Curious how we build vibrant CMO communities?